Compound Choices – LEGG Company, Inc. In addition to different carcass selections, LEGG Company offers a variety of different cover compounds engineered for extended belt life and increased carcass performance at competitive prices. 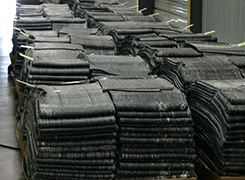 Our belt constructions are engineered with exact compounds for specific applications. LEGG Company has natural, natural/synthetic, and all synthetic compounds to fit the ever increasing demand for belt performance.